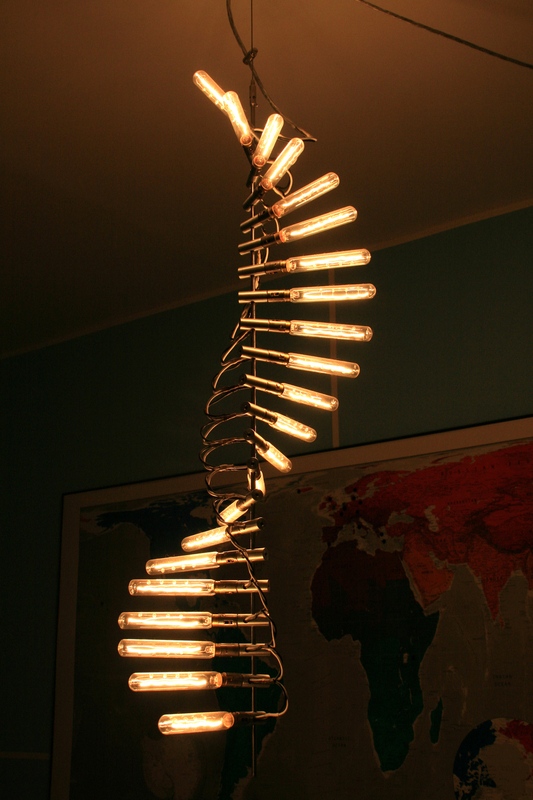 The Helix light consists of multiple tubular incandescent bulbs arranged around a central axis. The bulbs are intended to be rotated and positioned according to the preference of the user. 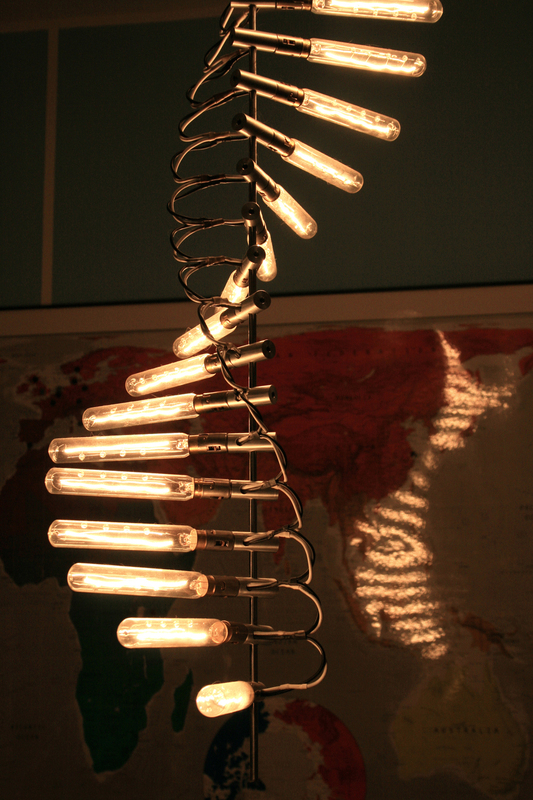 The entire lamp may also used in either a vertical or horizontal orientation.